So you’re looking to build a website for your business. You’ve registered your domain; you’ve paid for hosting; now you just need to build your site. This used to require opening up a text editor and typing out HTML tags by hand. However, this is no longer the case. These days, just about anyone can put together and manage a website with minimal technical know-how. This is thanks to what’s called a Content Management System – or, CMS for short. Most contemporary websites are built on – and managed by – a CMS. There are plenty of CMSs out there for you to choose from; some are multi-purpose, while some cater to specific website formats or business sectors. You may have heard sales pitches or seen ads for some of these CMSs, each advertising their ease of use and the quality of website that they can produce. However, I’m going to tell you that you should probably ignore all of those and just use WordPress instead. There’s a good chance you’ve heard the name WordPress before. WordPress has been around for many years and started as a wildly popular blogging platform and CMS. In fact, it’s the most popular – by a lot. It’s projected that WordPress is used by 58.8% of all sites known to be using a CMS. This accounts for 26.8% of all websites on the internet. The WordPress content management system is published using an open source software license. Essentially this means that all of the source code that makes up the WordPress software is openly available for anybody to view, use, and modify as they please. This transparency is what lends the WordPress platform its greatest strength: extensibility. 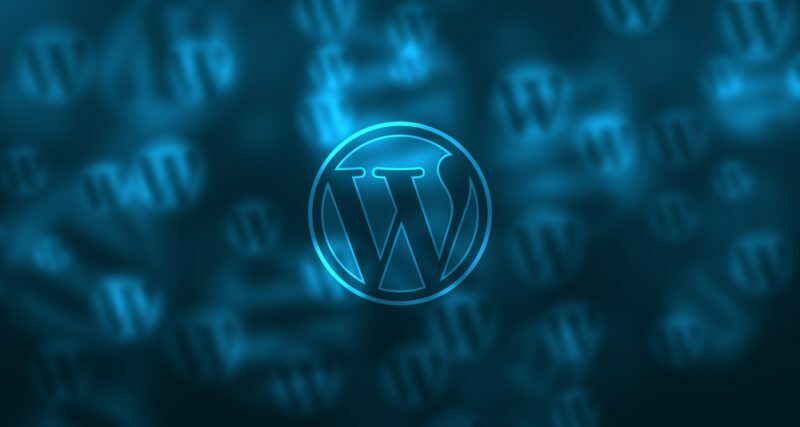 WordPress allows and even encourages its users to build onto the base software which has allowed for a thriving ecosystem of developer support. WordPress developers can create what are called themes. A theme is a custom built front-end that you can install to your site. There are thousands of themes available for WordPress. Many of these are free while others charge for premium design and features. Each theme can equip your site with different functions, page layouts, widgets, and visual presentation options. Also, like WordPress itself, every theme is completely customizable. After you install a theme, you can adjust its layout and design to your liking. You’re even free to edit the underlying code. However, this shouldn’t be attempted unless you have some understanding of what you’re doing since you may risk breaking your site. Continuing on the topic of extensibility, another modular feature of the WordPress platform is plugins. Remember those old iPhone commercials? The ones that advertised: “there’s an app for that” in regards to any use case you might imagine? Well, the same could be said of WordPress plugins – there’s a plugin for that. There are currently over 47,000 plugins available for you to download on the WordPress Plugin Directory. You can probably find several plugins that implement almost any type of functionality that you can think of. There are plugins to assist in site management and maintenance; e-commerce, plugins that allow you to integrate social media features; and… Some plugins that barely do anything at all. However, do yourself a favor and try not to go overboard with the plugins. As great as plugins are, it’s easy to get carried away. The more plugins you install, the more chance there is for them to begin conflicting with one another, or with your theme. Sometimes less really is more. While building your site on WordPress doesn’t mean that you’ll automatically be ranked first on Google, it’s a step in the right direction. When it comes to SEO, even without handy plugins such as Yoast SEO, WordPress is well configured out of the box with features search engines look for when ranking search results. Several key technical aspects of on-site SEO are handled (or expedited) by WordPress or plugins. This includes responsive site design, clean URLs, automated redirects, and the ability to easily manage site structure and page metadata. And thanks to WordPress’ template and widget systems, you can easily reuse common elements across your website. For example, you can easily create a footer containing your business’ name, address, and phone number (NAP) and have that information automatically appear on every page across your site – a practice highly recommended when looking to boost rankings for local business websites. As mentioned previously, the WordPress CMS is completely open source. As a result, the software and all of its functions are well documented. The WordPress website provides thorough documentation on all aspects of installing, using, and troubleshooting your WordPress site. In addition to official support, the popularity of WordPress has led to a huge community of users and developers who are keen to offer their solutions to any problems you might encounter. This support isn’t just limited to the WordPress software itself either. A Google search will often return several helpful results pertaining to many of the most popular themes and plugins. While all of the above are great reasons to use WordPress, please keep in mind I’m not claiming that WordPress is flawless. And I’m definitely not saying that it’s necessarily the best platform for every website to be built on. There are plenty of sites and web apps out there that either couldn’t be built on WordPress, or could be built more efficiently using a different platform. However, in my experience, the vast majority of simple informational sites, or small business websites that are built using either custom code, or some other content management system, would have been better off simply using WordPress. Powerful doesn’t always have to be complex.